See below the big interactive Google tourist map of Scarbourgh Beach. Map out your holiday plan using the Google map of Scarborough Beach with landmarks and hotels pinned. Search for a business or business type on the map of Scarborough Beach Zoom to Scarborough street map. Map of Stirling Electoral Wards showing Scarborough in the Costal Ward. Map of Scarborough Beach 1.3mb PDF print version. OPTIONAL Scarborough to Cottesloe Beach and Fremantle bus number 999 route map. It's poor service that the public transport service for Perth is the spoke and hub model. That means if you want to travel to City Beach or Floreat Beach south of Scarborough Beach you either need to walk (OK on a nice day if you're able bodied) or travel for hours on a bus. There used to be a bus from Scarborough Beach that travelled south along the Sunset Coast to Fremantle. Short surfboards were taken aboard. The PUBLIC TRANSPORT JOURNEY PLANNER show maps of bus routes from Scarborough Beach. To travel by bus from Scarborough Beach to Cottesloe Beach and Fremantle the circle bus route is the best option. Catch a bus from Scarborogh Beach to the Stirling bus/train station. Catch bus number 999 which travels from Scarborough Beach to Fremantle via Charles Gardinair Hospital/Perth Childrends Hospital and the University of Western Australia and then on to Cottesloe Beach and Freo. Click on business location to link to their site. Map not to scale. The Scarborough CBD has a lot of pedestrians, especially in summer. In Western Australia, turning traffic MUST give way to pedestrians. Scarborough accommodation managers can pin their location on the zoomable Scarborough Tourist Map . Make sure you put the keywords "Scarborough Beach" in your discovery settings. 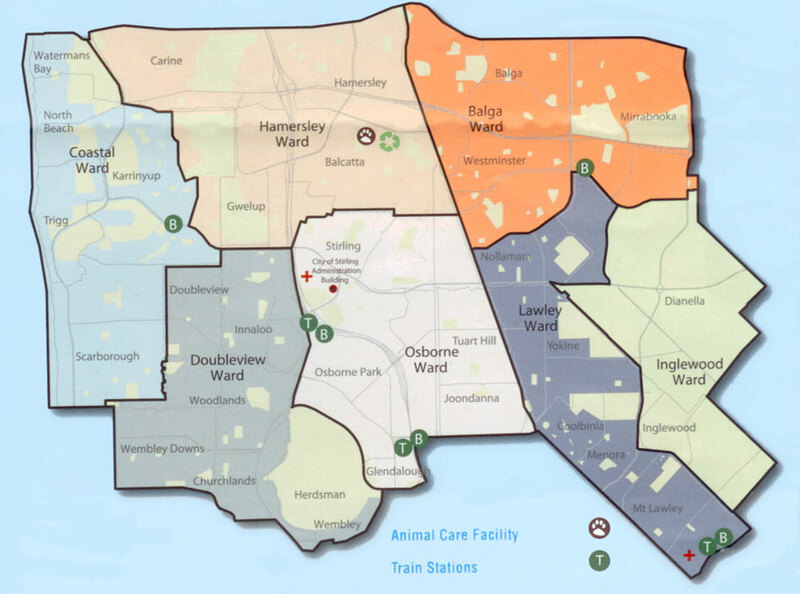 Links on the map of Scarborough Beach are 15 cents per day. 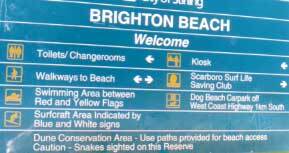 Banner ads are a bargain on the downloadable map of Scarborough Beach or on any page of the popular Scarboro Beach site at $330 pa inc GST. Contact for a free consultation if you want help pinning your business on the the maps of Scarborough beach.